Tom LeDuc , President and CEO of LeDuc & Dexter Inc., has been named California PHCC Contractor of the year. California PHCC (Plumbing Heating Cooling Contractors) Outgoing President Eric Hancock listed many of LeDuc’s accomplishments including his leadership in apprenticeship issues with service on the PHCC-PUAC Master Committee and the PHCC-NA/NCCER Apprenticeship Curriculum Committee . LeDuc also belongs to PHCC’s CCA enhancement groups and is a strong supporter of legislative activities. According to Steve Lehtonen, Executive Vice President of the CAPHCC, the committee considers several criteria for this award including the candidates’ contributions to their local, state and national PHCC, as well as other ways they serve their industry. LeDuc is a two-time President of the North Coast Builders Exchange and will serve on their board of directors as Past President in the upcoming year. 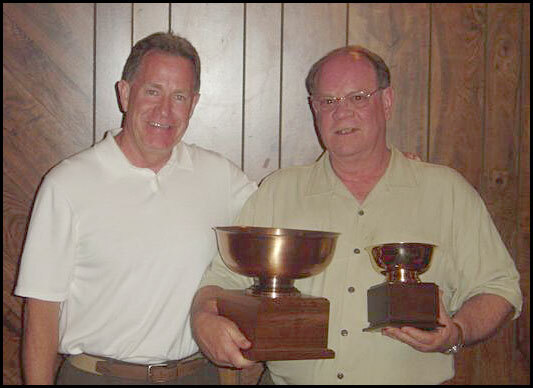 Lehtoneri made the award presentation at the June 16th Redwood Empire PHCC General Membership Meeting in Petaluma. Prior to the presentation Lehtonen had this to say about LeDuc, “Tom is very deserving of this award. I’m looking forward to having the priveledge of recognizing him for his outstanding leadership and contributions to our industry.” LeDuc is a past president of the Redwood PHCC.